Redfield is basically a division of Leupold, who has gained worldwide popularity and recognition in the field of high quality optics. Products by Redfield are usually more economical compared to those with the high-end Leupold name. This may cause you to question the quality of Redfield’s products, which is the main point of this Redfield Rampage Spotting Scope review. We’re going to evaluate this spotting scope to examine whether it lives up to the reputation set by Leupold. We’ll kick off by analyzing all the features of this spotting scope, and looking at how this scope compares with its rivals in terms of features. At the end of the review, we’ll highlight the benefits offered by this scope, how it stands out, as well as its disadvantages. You’ll have a good idea as to whether this product meets your needs and is worth the money. The included accessories are built with remarkable attention to detail. The soft storage case nestles the spotting scope comfortably when not in use. Even though the scope is both fogproof and waterproof, the view-through case is great for times when you’re using the scope in inclement weather. The objective and eyepiece covers snap on securely, but they are easily removable. The tripod is fairly strong and comes in handy when you don’t need to hold the scope by hand. The Rampage scope has magnification ranging from 20x to 60x. It delivers crisp and clear images at all powers. You can easily zoom the view in or out using the front knob. No matter how far you zoom in, the scope provides excellent imaging with ample brightness and contrast. When viewing close-up objects, the objective lens will allow you to aim and focus on objects that are as close as 19.8-feet away. 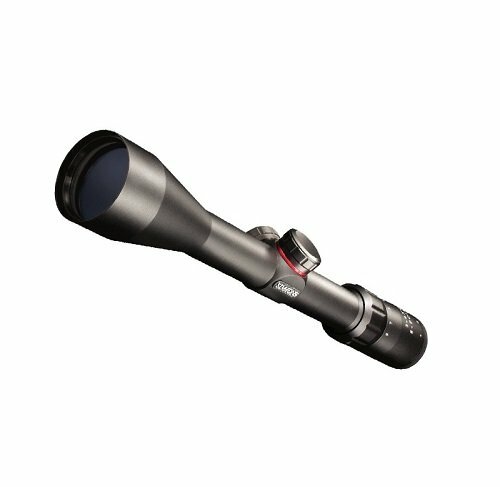 This scope features a field of view that is well above average, providing you with 114-feet of view at 20x magnification from 1,000 yards and 51-feet of view at 60x magnification from 1,000 yards. Using this spotting scope is very easy. Both the zoom and focus wheels turn appropriately smoothly, but with enough friction to prevent you from bumping them out from your preferred focus and view accidentally. The scope has a standard tripod mount at the bottom which works with any window mount or camera tripod. This makes the device exceptionally easy to use and set up. The scope has lenses that are fully multi-coated with premium Bak-4 prisms, giving it amazing light gathering capabilities. This scope’s twilight factor is also excellent as it ranges from 34.6 to approximately 60. However, it will largely depend on the zoom settings. As a result, it works well even at night. You can use a retractable lens shade when out in bright sunlight to get a glare-free performance. The scope’s optics and focus are suitable for its price. The air-to-glass surfaces of the scope’s optics have been treated with several layers of coating, while the eye relief is close to perfect at 14-17 mm. The focus is adequately crisp and clear. There’s ultimately no dull reproduction, but rather accurate-color fidelity and sharp-edge clarity to enable you differentiate the game from their surroundings. The Rampage spotting scope is built with lightweight materials, giving the entire unit a mere weight of 37 ounces. It has ridges along its bottom and enough texture on its housing to allow for firm gripping. Both the focus wheel and zoom knob have excellent stippling to enable you to securely turn them without your hands slipping, even when wearing gloves or having slippery hands. This spotting scope is made from the same material as bullet-proof glass: polycarbonate. Thus, it is rugged and very durable. You may opt to use the see-through cover for an extra protective layer, protecting the scope from bumps and scrapes. The Rampage features a nitrogen-charged optics chamber and O-ring sealed lenses, which means that the scope is both fogproof and waterproof. The Bak-4 top quality prisms deliver exclusive image resolution and clarity. It’s quite affordable, offering much more value than what one may expect at that price. It functions well in both bad and good weather. With the conventional tripod adapter, you can mount it on almost all kinds of tripods. You get great resolution and absolute clarity of the image without any blurriness with the aid of the impressive magnification range. The body is conveniently lightweight and sturdy, enabling you to carry it easily with you whenever you’re on the go. Upon purchasing the scope, you get the Redfield’s limited lifetime warranty. There might be a small image shift if you adjust to the maximum magnification. Q: How’s the eye relief for eyeglass wearers? A: The whole package comes with four interchangeable rubber eyecups that allow users with or without glasses to effectively use the scope. The eyepiece is rubber-coated, having several detents to hold at various positions. Q: Can this model be used for digi-scoping? A: The Rampage scope is great for digi-scoping. Given that the eyepiece measures about 1.7 inches, you would need a small digi-scope adapter. Q: Is the scope adequate for about 300 yards of target range? A: Definitely! It’s clear enough to even see holes at 300 yards, especially if you have decent light. Going up to 60x, it’s certainly a great buy for the money. Although this scope has some minor flaws, it’s still a terrific scope and excellent value. 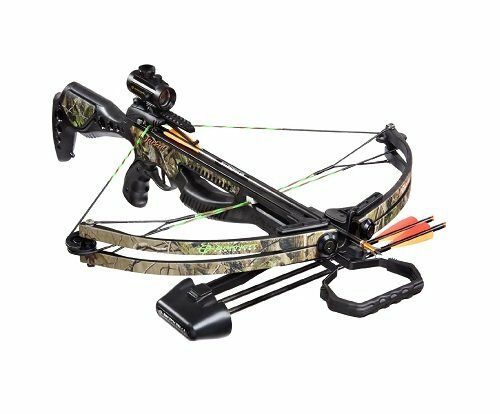 It’s a hard-core full fledged scope that is able to deliver great performance for the price. This scope is definitely worth considering if you’re seeking a high-powered spotting scope which brings even long-range images into precise clarity. Its pricing is extremely reasonable yet the device is feature-packed, which is actually what makes this scope totally unique. It delivers premium image contrast and clarity in all kinds of lighting, and it’s worth the money. Check out the Top Five Shooting Spotting Scope Reviews with Buying Guide.